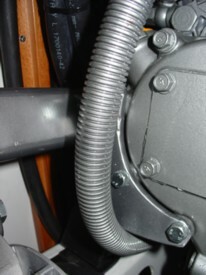 "...ingenious Yanmar second alternator mount..."
"I would recommend the system to every Beneteau cruiser over other charging systems. I love it..."
>>200+ Amps for that fast charge feeling! These kits are designed for the yacht maintenance technician and marine electrician to simply and predictably increase the charge rate of the new Yanmar JH4 series of diesel engines on yachts. This kit is specifically targeted to the yacht maintenance personal and marine electricians. 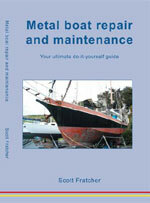 -Marine electricians wishing for an easy method of driving a large frame alternator. 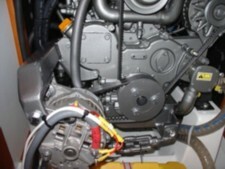 -Yachts with moderate electrical loads that do not wish to dedicate space, effort and spares to a genset. -Yachts that wish to utilize short engine run times to quickly recharge batteries such as cruising boats that only run the engine when lifting anchor. This kit is marketed to the yacht mechanic and marine electrician wishing to increase his profit. 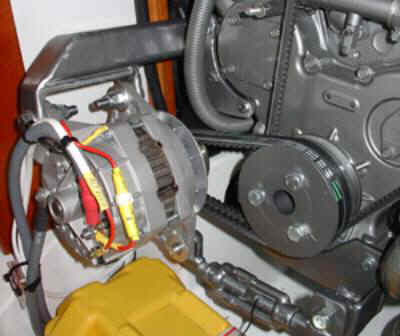 The local tradesman can purchase the mount from Yachtwork and increase profit by charging separately for the installation, alternator, belts, spare belts and wiring installation. 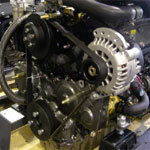 We supply a list of commonly used high output alternators, regulators and belt sizes. Please specify model of JH4 Yanmar when ordering. 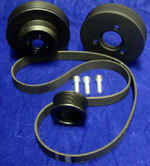 Photos of the front of the engine are an advantage as we have high and low mounts to increase versatility. We use all the power we want including a 600w inverter for laptops, battery drill, camera etc and have never been below 700amps in batteries. No doubt your kit was one of our best investments and the price was perfect at the time. Your kit and instructions were incredible..."